I think it is helpful to have checklists of birds that might be in the area. I am not sure why more Orange County Regional Parks and wildlife areas don't publish their lists online, but I will continue to update this list as I find checklists for birding locations. 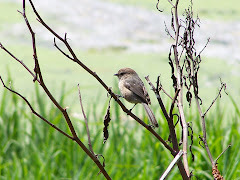 Bird checklist for Bolsa Chica Ecological Reserve--one of the major birding hotspots of Orange County. Wetlands. 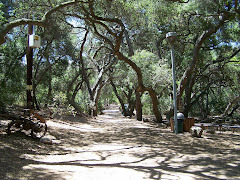 Cleveland National Forest is located in Orange County and San Diego Counties. The most southern of California's National Forests, it covers 460,000 acres. Although not complete, it does list numerous pictures of the birds found in Crystal Cove which includes both beach and back country areas. Huntington Beach has numerous parks and wildlife areas including Huntington Central Park, Bolsa Chica, Carr Park, and numerous beaches. Wetlands and surrounding areas. 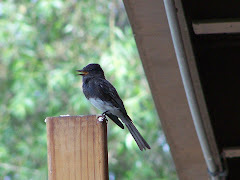 El Dorado Audubon Society bird checklist. The Sanctuary is run by Sea and Sage Audubon and the Irvine Ranch Water District. Run by the US Navy. Restricted access. Nature Center in Huntington Central Park. 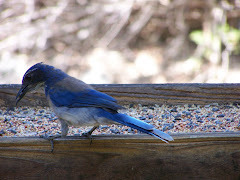 San Fernando Valley Audubon's checklists for local birding areas. 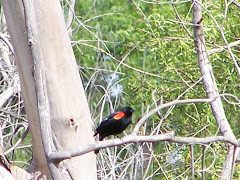 This chapter has several checklists for birding areas in the San Fernando Valley. Located in the foothills of the San Gabriel Mountains in LA County. Los Angeles County area managed by the National Park Service. A pictorial checklist of Kern County birds. Official bird checklist of the Western Field Ornithologists. Checklists for National Wildlife Refuges and other wildlife areas in California. 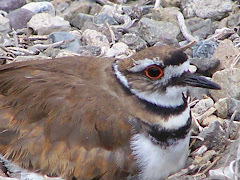 Bird Checklists for National Wildlife Refuges and other wildlife areas. NOTE: All photos on this website unless specifically noted are under copyright by Karen McQuade the OC Birder Girl. It is illegal to download copyrighted material including text and photos from this website. To go straight to Amazon to learn more or purchase click on the picture above. Hi! I'm so glad to have just found you! I have been hearing the most beautiful song in the mornings. Not now, but in the spring and summer. I run outside every time I hear it and I think it's coming from a gray, sparrow sized bird (maybe a little taller and slimmer looking) with a light pink chest/stomach. I'm not a birder but would like to become one so please forgive my lack of knowledge. Is this a warbler? I can't find "him" on lists that have photos of OC birds, but I think he just passes through for a season. I live in Fountain Valley near the Santa Ana river and my house is surrounded by lots of trees, but he seemed to be nesting or hanging out between a tree and someone's upstairs balcony. His song is like water running over a small waterfall - warbly, if there is such a term. Does anyone know what bird this might be? It's driving me nuts. I'm an owl biologist but don't know much about identifying songbirds - a serious deficit that I wish to correct! Thank you so much for your time! The bird that comes to mind is a House Finch. Remember, that birds vary in plumage due to age, gender, season, and even diet. It could have been a young male. Check out my post on House Finches and Cornell's Lab of Ornithology site All About Birds. Both include the song. All About Birds also has a page on finches that includes pictures and songs of several species https://www.allaboutbirds.org/search/?q=Finch Even though the House Finch is a resident bird, it tends to sing mostly in spring and summer. Every once in a rare while, I hear one sing a bit out of season. Check out the All About Birds page and let us know what you think.